Fun Giveaway – Winner Picks the Prize! 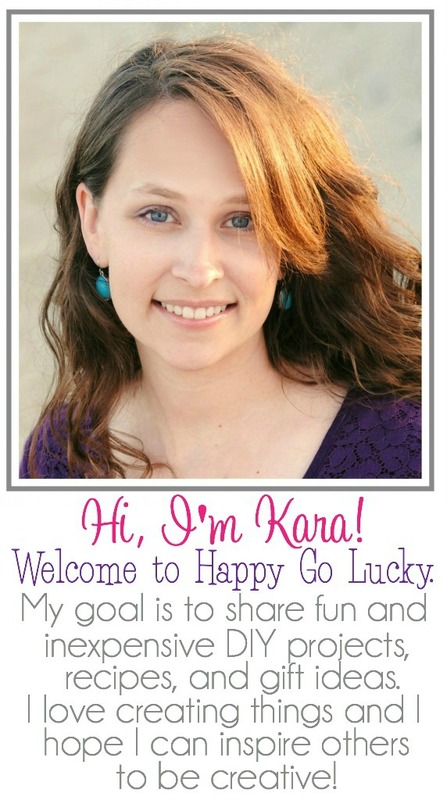 I’m helping Amy from One Artsy Mama celebrate today with a fun giveaway!! 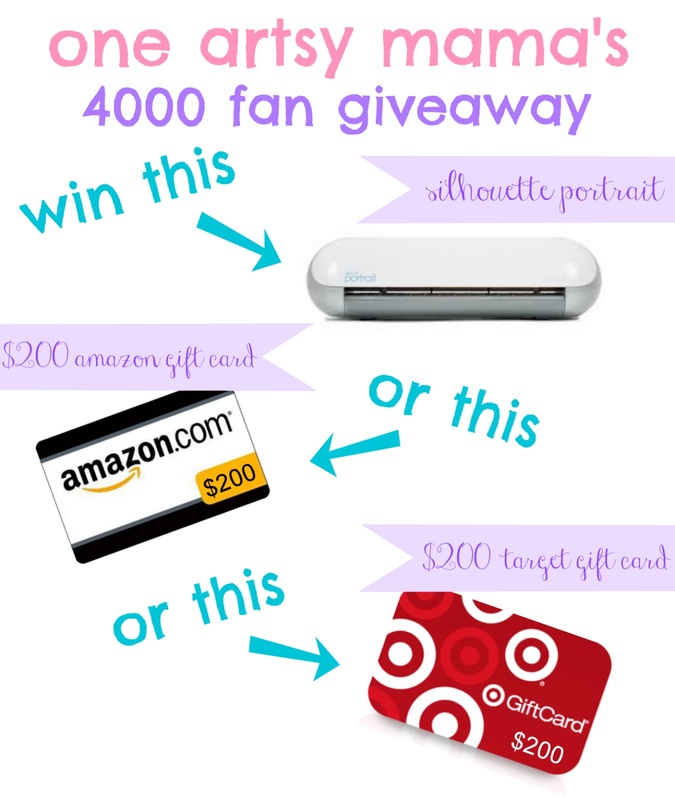 Enter below to win a Silhoutte Portrait or a $200 Amazon Gift Card or a $200 Target Card – YOU PICK!! Giveaway is open to entrants ages 18 and over and ends at 12:00am EST on May 30, 2013. Approximate retail value $200.00. Number of entries received determines the odds of winning. One winner will be selected. This is a giveaway sponsored as a group buy, which means the bloggers pooled their money together to purchase this product for you. All liabilities and responsibilities with the product itself is directly responsible by Silhouette America. Winner will drawn by random.org from all verified entries, contacted by the email provided when entering, and announced on this page at the end of the contest. Winner has 48 hours to respond or prize will be redrawn. Entrant is responsible for the email address they provide, whether through typing it directly or through the Facebook entry method. One Artsy Mama is not responsible for lost, misdirected, or undeliverable emails. All prizes will be awarded, no prize substitutions allowed. This promotion is in no way sponsored, endorsed, administered by, or associated with Facebook and we hereby release Facebook of any liability. Information is provided to One Artsy Mama, not to Facebook, and your information is never sold or shared. Facebook, Target, Amazon, and Silhouette America are not a sponsor of this giveaway. Prize is mailed or emailed directly by Amy of One Artsy Mama. Protected tweets do not count as an entry method for tweeting; tweets must come from a public account. Bloggers in this group giveaway and their immediate family members in their household cannot enter or win the giveaway. International entrants are not eligible to receive the Silhouette Portrait unless they provide a valid US Shipping address. No purchase necessary. Void where prohibited by law.